As a designer for Comme des Garçons, Junya Watanabe excelled by fusing Kawakubo’s confrontational approach to traditional form with his own love of hyperbole and ironic historicism. Impressed by his interest in tactile manipulation, Rei Kawakubo helped Watanabe found his own fashion house. 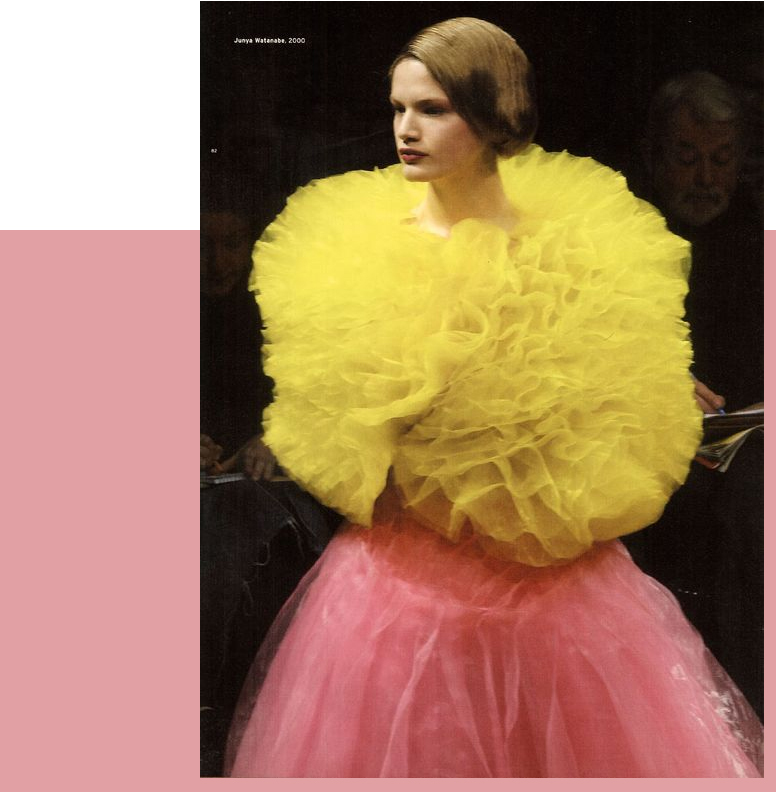 For his rtw autumn winter collection the honeycomb ruffs accelerated inflation to shoulder-wide dimension as seen in Rembrandt van Rijn’s portraits. The starched collars from those days probably couldn’t fold and be stored in an envelope, like Watanabe’s. To accomplish the extraordinary scale of his ruff, Watanabe required a polyester organza that could hold its shape. No silk organza was able to do so. Despite all its reliance on technological innovation for the fabric, this design, from Watanabe’s “Techno Couture” collection, was stitched together by hand.